The team of top Long Beach eye surgeons at Atlantis Eyecare has helped countless patients find relief from cataracts, and we are ready to help you. As one of the most popular medical procedures in America, LASIK offers permanent vision correction with a rapid, pain free procedure. With our broad array of boutique quality frames, you’re sure to find a style for any face and look. For patients seeking premier eye care in Long Beach, look no further than the experts at Atlantis Eyecare. In addition to our leading specialists in every subfield related to eye care, our facility is state-of-the-art and fully accredited, with a perfect record of safe, successful treatment. At Atlantis, our patients receive effective vision corrective, cutting-edge LASIK, and among the best cataract surgery Long Beach has available. With our cutting-edge cataract center, you can enjoy state-of-the-art care and total relief from the burden of cataracts. At Atlantis Eyecare Long Beach, we take your vision very seriously. Our LASIK is not only effective, it is extremely safe as well. With a long record of blindness prevention, our eye doctors have exceptional proficiency in glaucoma treatment. Atlantis has a single goal: the highest level of clarity for your vision. With our comprehensive cataract program, patients with cataracts have the assurance of thousands of previous, successful surgeries. Further, we don’t simply remove cataracts—we use refractive lens exchange to make your vision clearer than ever before. In the field of laser vision correction, there is no question that experience and knowledge are key factors. At Atlantis Eyecare, we have logged over 30,000 laser vision corrections. This is a testament to our unrelenting expertise and commitment to providing our patients with the highest level of care. In the field of eye care and vision correction, our team is second to none. Not only do they routinely deliver among the best eye care in Long Beach, but they also regularly contribute to their overall field with their findings and discoveries. Their purpose is general enhancement to the entire field of eye care. At Atlantis Eyecare, our staff and doctors have a very clear purpose—your total comfort and quality of care. When patients come to our office, their welcome is cordial and caring. In terms of treatment, our facility houses equipment that is on the cutting edge of eye care technology. In delivering such treatment, we never use a generic approach. Instead, we begin with a consultation and act according to your unique and specific needs. By getting to know you first, we deliver exactly what is necessary to get the best possible results from your eye care. Cataracts affect over 20 million Americans, creating a significant need for a higher level of care. At Atlantis, we have some of the most experienced cataract surgeons in California, each with board certification in their field. Each surgeon remains abreast of every advancement made in cataract treatment, and many of them have actually contributed to this critical field. When it comes to your eyesight, there can be no compromise. 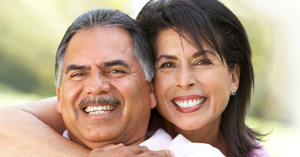 Atlantis ensures your care is safe and effective, with a reputation for the best cataract surgery Long Beach has to offer. 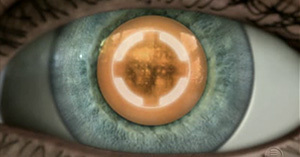 One cataracts are removed, it’s imperative that your doctor is well versed in ocular lens replacement. This technique, known as refractive lens exchange, ensures your eyesight is clear and bright following cataract surgery. At Atlantis, we not only deliver rapid, pain-free cataract surgery, we also significantly improve vision with our premium intraocular lens exchange, from our top eye surgeons in Long Beach. We have a broad range of lenses to cater to any patient, and your eye care specialist will help you choose the perfect lens for you. 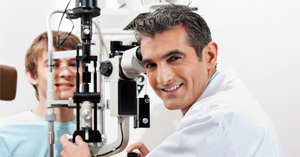 In the field of eye care, cataract surgery is generally covered by health insurance. Our insurance gurus work with each patient and their insurance provider to get the coverage they need. Regardless of whether we are listed as a preferred provider, we can often help get the most out of your plan. All we need is your insurance information, and we’ll take it from there.